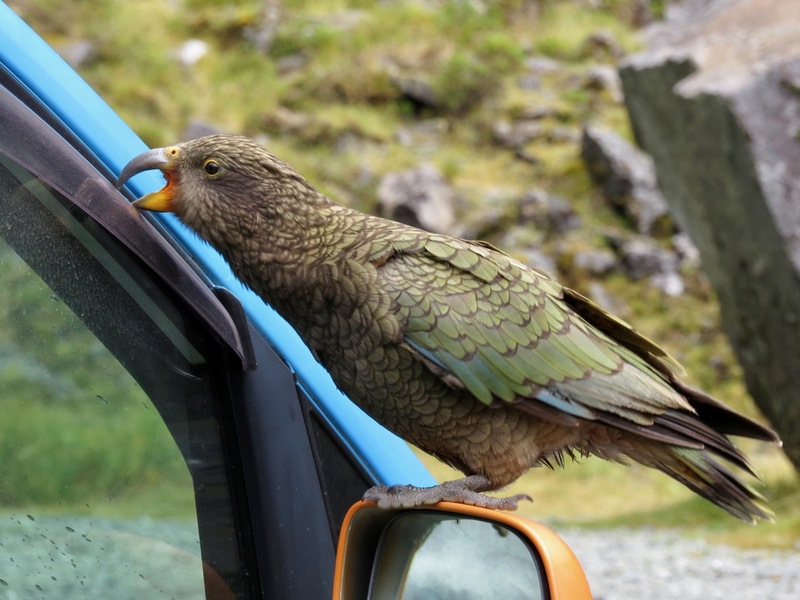 Here are some wildlife photos from New Zealand, with a decided admixture of wonderful scenery. First, spectacular Mt. 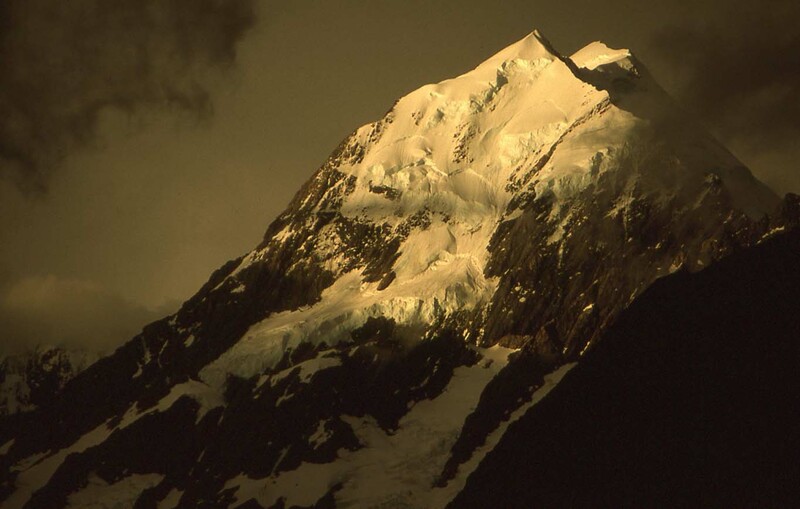 Cook on the South Island catching the morning sun, then a ridge with glaciers a bit to the left (west?) as viewed from our hotel. 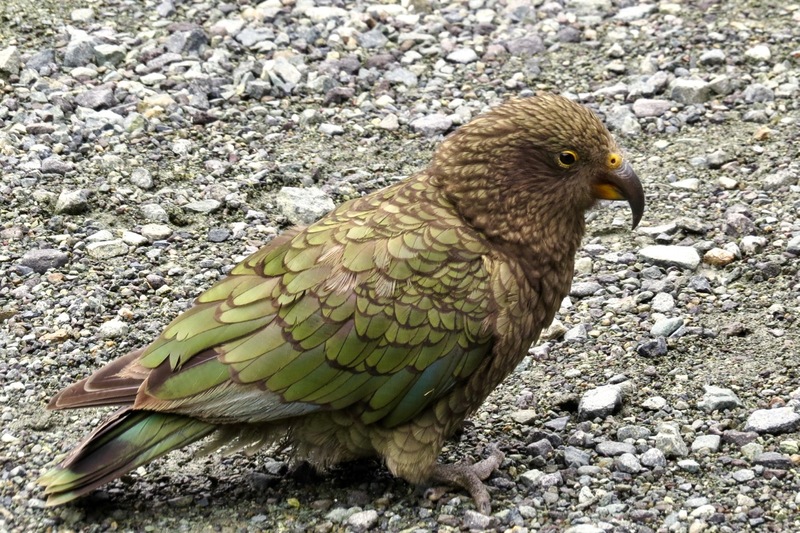 The Kea (Nestor notabilis) is famous (infamous?) for attacking things like weather stripping on autos (e.g., first photo below). 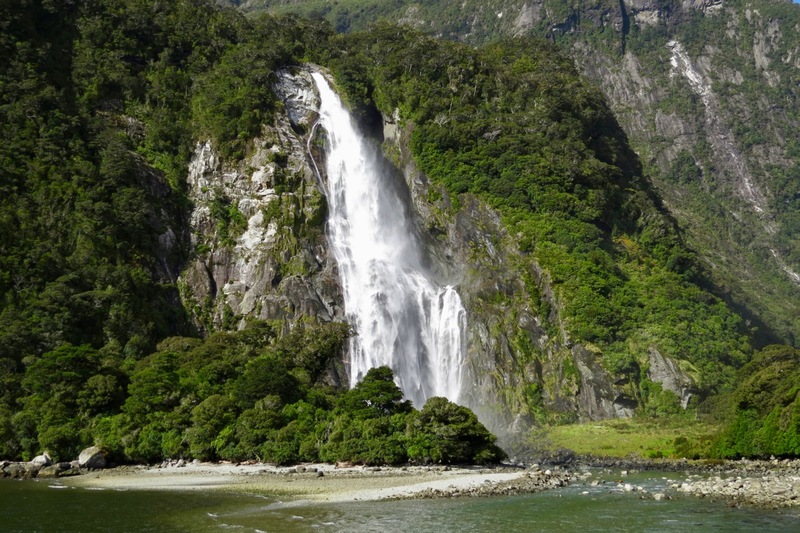 Here is one of the multitude of waterfalls in Milford Sound. New Zealanders fall all over themselves in apologizing for calling that a sound when it is really a Fjord. Then they are embarrassed that, in trying to make amends, they created Fiordland National Park with an “i” where it should have been “j”. 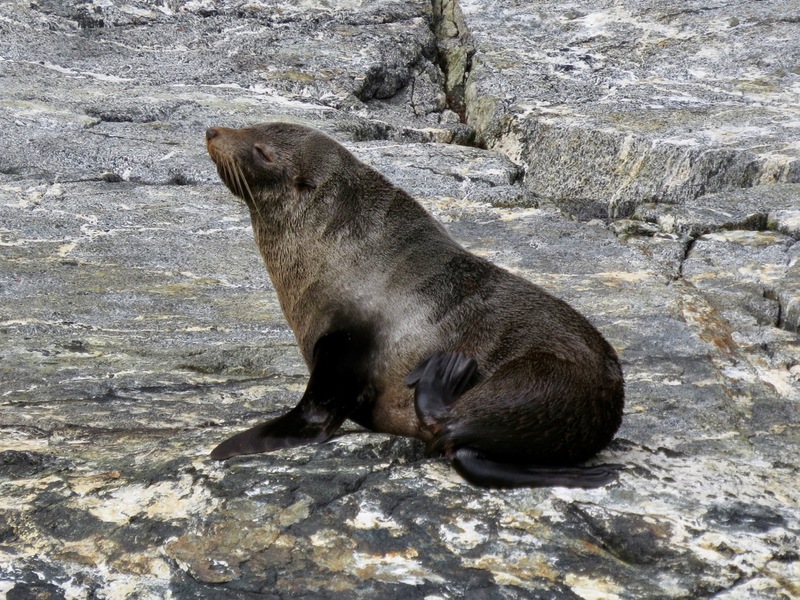 The New Zealand fur seal (Arctocephalus forsteri) is more closely related to our sea lions than to true seals, as evidenced by external ear flaps and the ability to tuck the rear flippers under the body and walk on all fours. 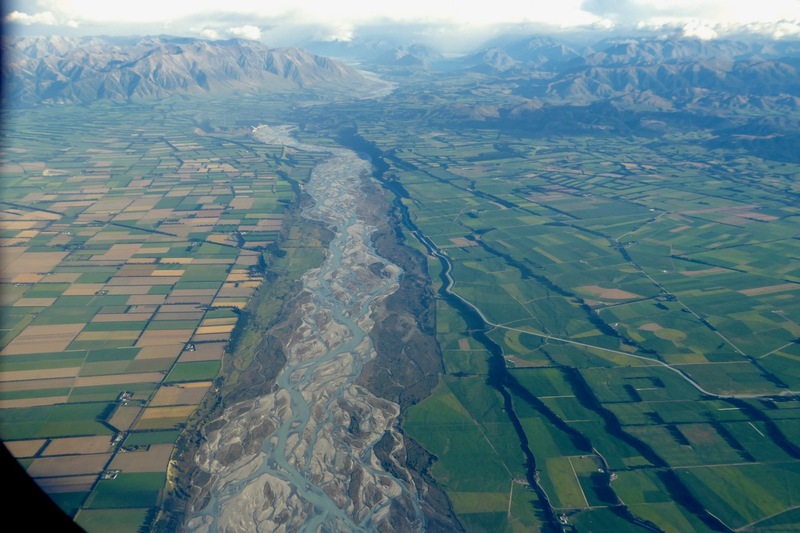 From the air, this is one of the striking “braided rivers” that flows down from the highlands across the Canterbury Plain on the South Island. 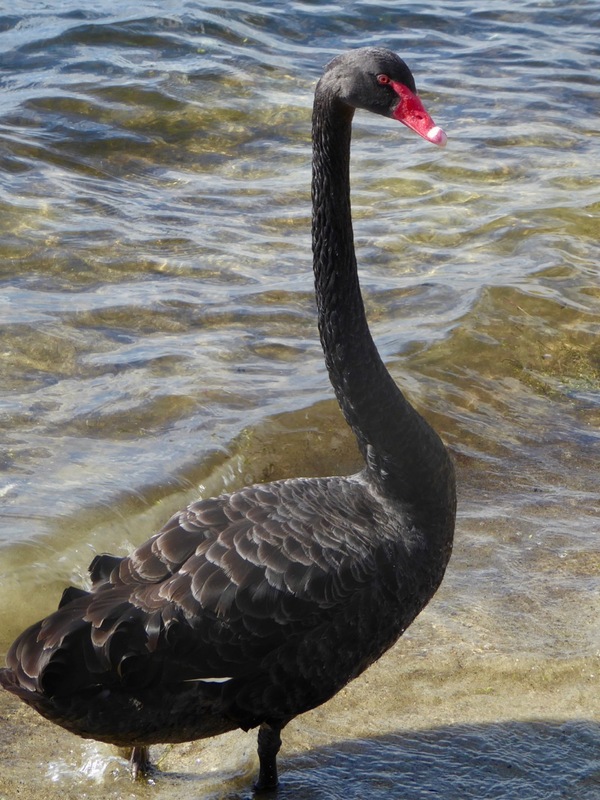 The black swan (Cygnus atratus) is a native Australia that was introduced and/or made the crossing on its own. 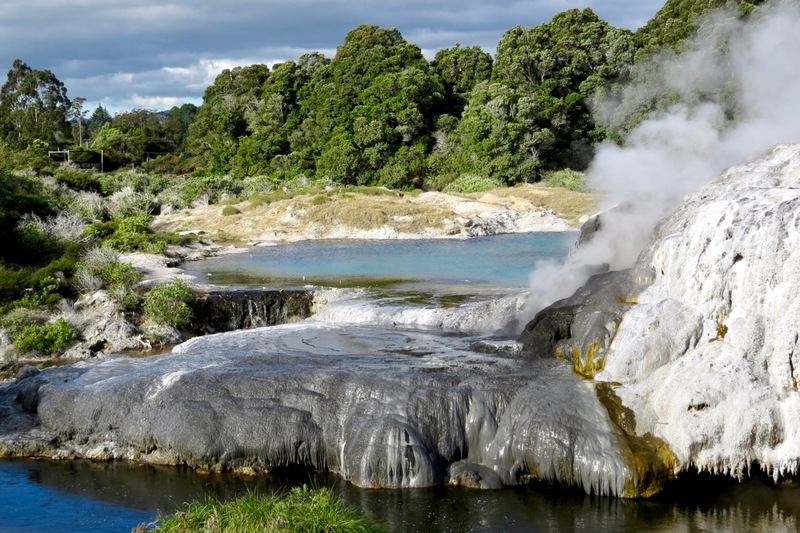 There are some wonderful geothermal areas around Rotorua on the North Island, much like a miniature Yellowstone. We saw Kiwis only in a facility that rears chicks from eggs collected in the wild. 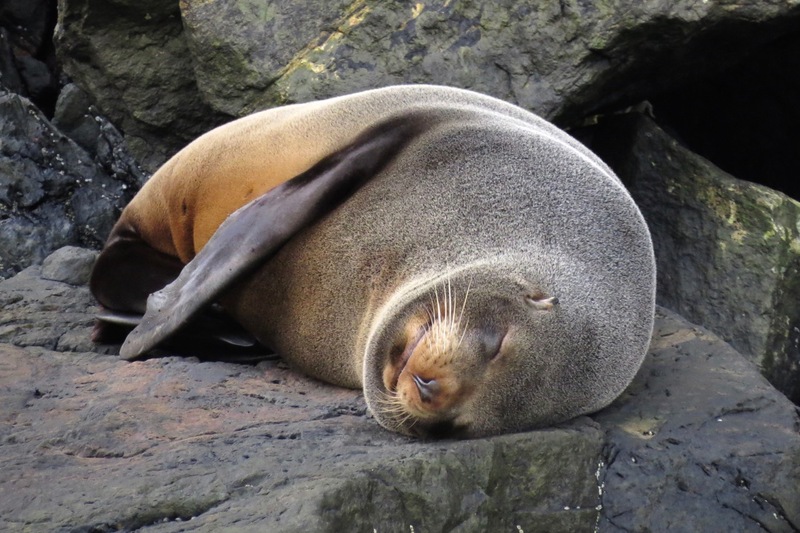 The idea is that if the single egg is removed early in the incubation period, a second one often is produced. 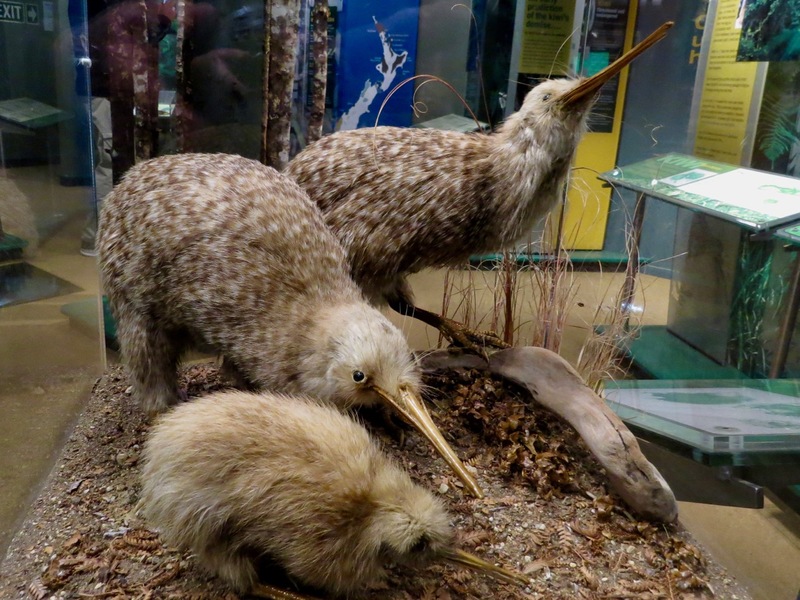 We were not allowed to photograph the live birds but here are some stuffed specimens of, I think, the little spotted kiwi (Apteryx owenii). Here our guide is using a flashlight to backlight the “fishing lines” dangled by a larval glowworm (Arachnocampa luminosa) in the Aranui Cave system. 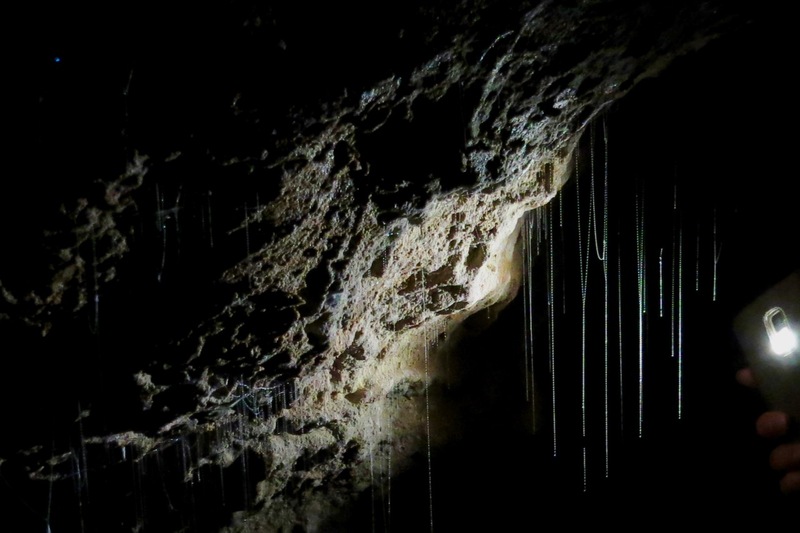 In this unique ecosystem, these fly larvae attract, trap and feed on insects whose own larvae and pupae are swept into the cave by a river that runs through it. In the dark, the glowworms look like stars in a night sky. I did not manage to get a decent photo of that effect, but you can see one (pale blue) in the upper left of this photo. Not exactly wildlife, but this display, photographed at the airport, blew my mind. The product, I presume, of a hugely successful public relations program, manuka honey is widely credited with virtually miraculous health benefits. FYI, the New Zealand dollar was at about 90% of the US dollar. This entry was written by whyevolutionistrue and posted on August 31, 2018 at 7:30 am and filed under birds, insects, mammals, photography. Bookmark the permalink. Follow any comments here with the RSS feed for this post. Both comments and trackbacks are currently closed. As I understand it the amount of “manuka honey” that get’s sold around the World far exceeds the quantity produced (see e.g. http://www.nzherald.co.nz/business/news/article.cfm?c_id=3&objectid=11699412). Oh well, you just have to hope that the act of spending that much on a pot of honey is enough to make the purchasers believe they have benefited from the **miraculous healing properties** of the product! No such thing as a black swan according to an anonymous source. At $ 269 a jar that honey ought to revive the dead. Well I found a video of Dr. Oz raving about Manuka honey, so it must be a miracle cure. He wouldn’t push just any old nonsense, would he? Beautiful pictures, by the way. The swan is particularly pretty. I see that my hypothesis that all swans are white has been disproven. 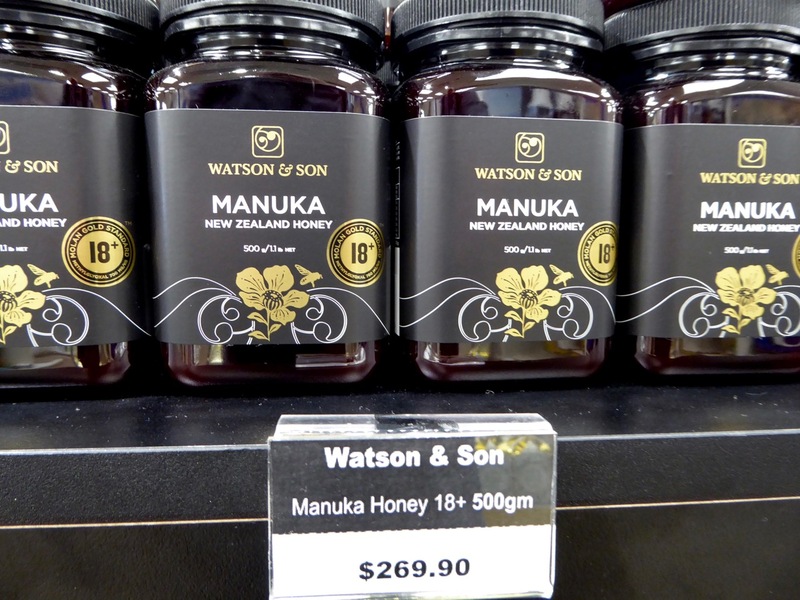 I remember being in NZ in the 90s when Manuka honey was the same price as any other honey before the craze took off. Merely FYI: Dartmouth Hitchcock Medical Center, NH, Wound Dept treated a slow -to- heal wound of mine with Manuka Honey. It got better eventually. Manuka helped? No idea but it did no harm. Anecdotal is not evidence – interesting that a modern medical center believes in it – maybe there is some research data available. Anecdotal evidence is evidence. It’s just not compelling evidence. Like the Hope diamond, “manuka honey” gets its specialness from impurities relative to the dominant chemical stuff in it. I find that amusing somehow. Very nice Joe, and lucky you! Thanks for sharing. 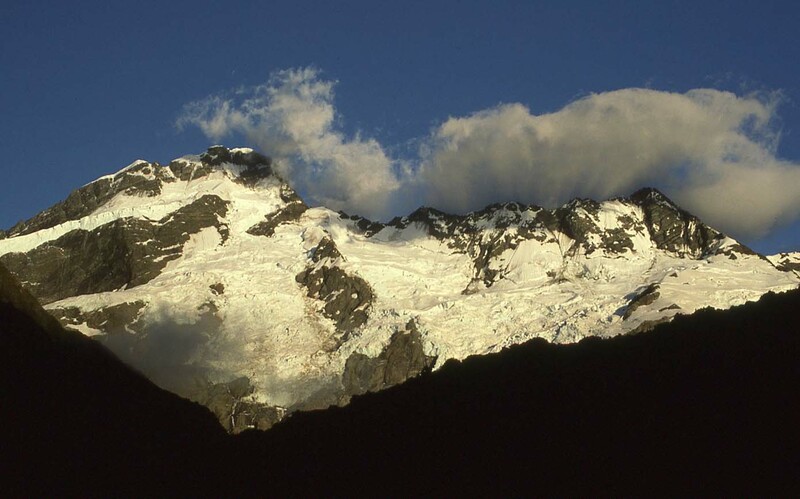 The braided river is lovely. There’s a spot – I think it’s further south than this photo – where if you are on the correct side of the plane and the sun is at the right angle you get a fantastic view up a whole series of rivers and lakes that looks like a huge shallow shining staircase running from the plain below all the way up to Mount Cook. 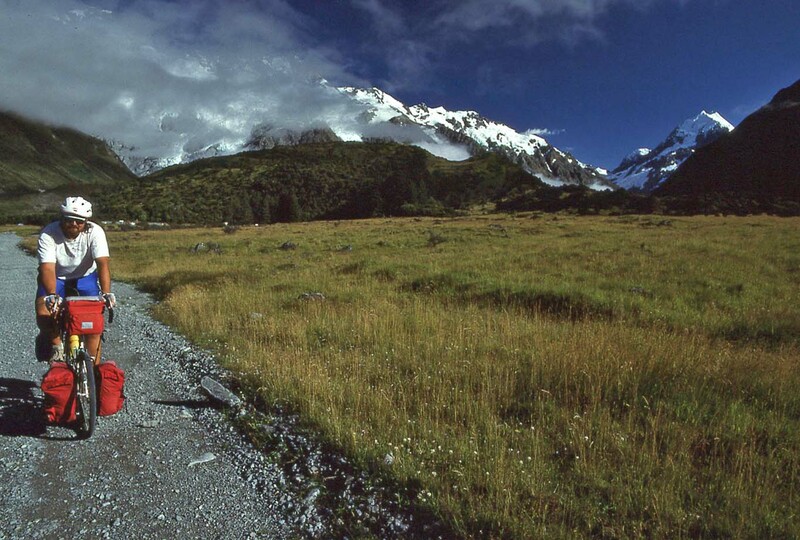 The Maori name for Mount Cook is Aorangi or Aoraki, meaning cloud piercer. The reason for the two names is due to the small differences in pronunciation that occurred, between tribes (iwi). 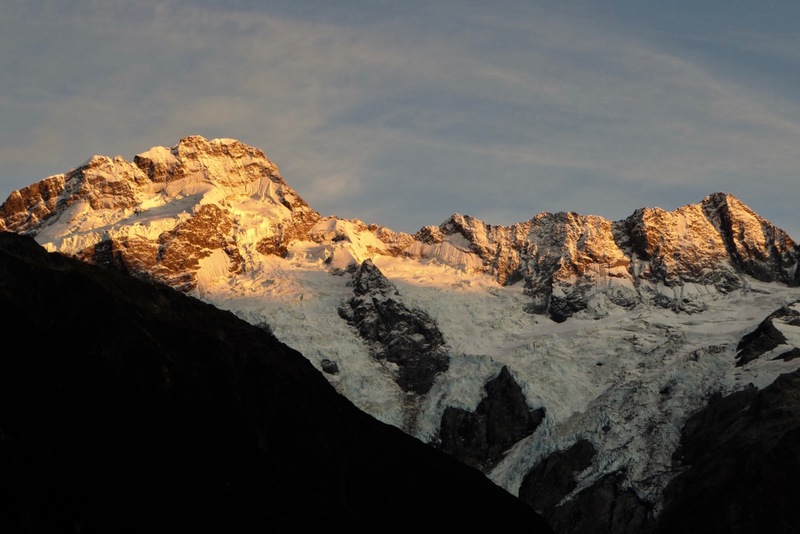 The iwi local to the area is Ngai Tahu. 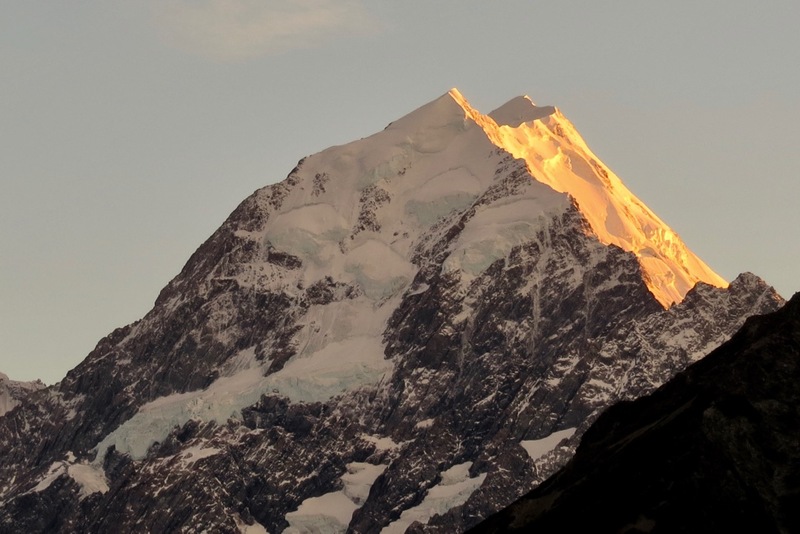 Their pronunciation is Aoraki. The cloud piercer! my kind of mountain! Embarrassingly you have seen more of my native land than i have and that goes for our host as well. I need to get out more.